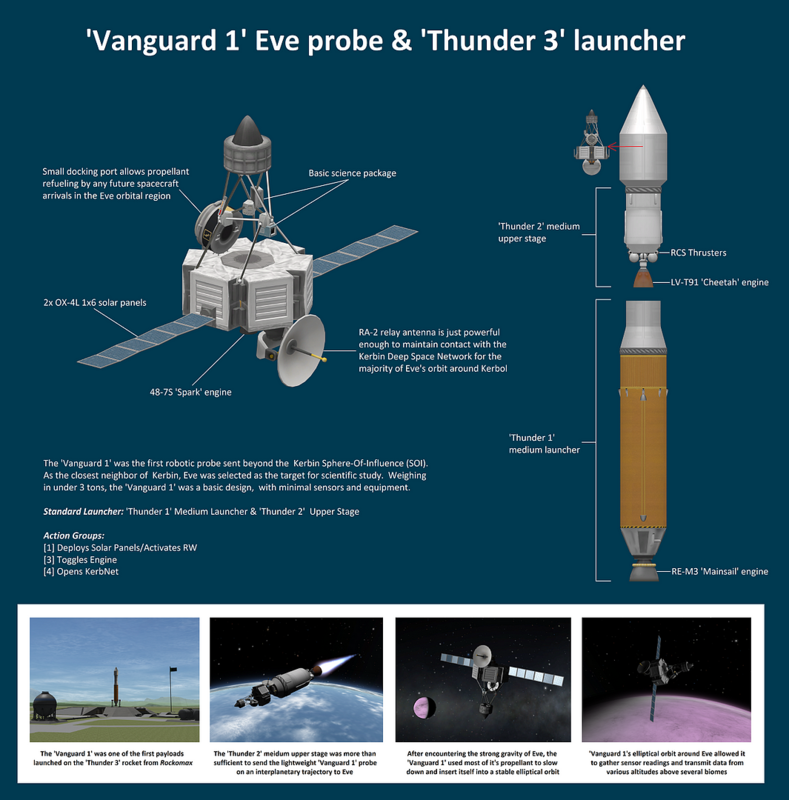 The ‘Vanguard 1’ was the first robotic probe sent beyond the Kerbin Sphere-Of-Influence (SOI). As the closest neighbor of Kerbin, Eve was selected as the target for scientific study. Weighing in under 3 tons, the ‘Vanguard 1’ was a basic design, with minimal sensors and equipment.